How do we improve at yoga? I’m not sure I’ve gotten any better at writing, really, after all this time. But I’ve gotten much better through writing. Even today, writing this, I’ll get better. Writing is a way to give myself over to a creative process, to be with myself and my life simultaneously fully present and one step removed. Yoga is the same. It permits me to be the yogi doing the pose while at the same time the witnessing consciousness, observing the waves of sensation in my body. This is a bit dramatic. She’s a writer. 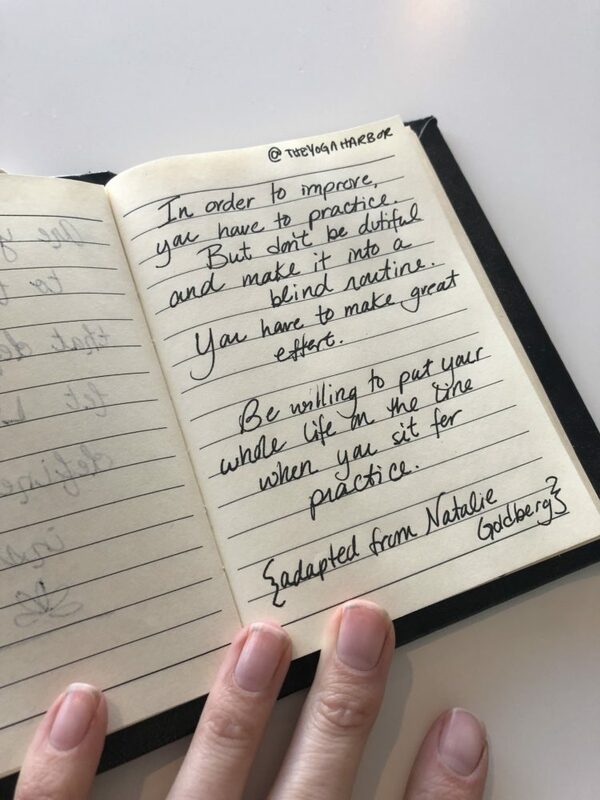 As I read through the page this morning, though, and planned a class sequence, I wondered whether I should use Goldberg’s words or Patanjali’s words, as he has said much the same thing. In Sutra 1:14, we are instructed: Practice becomes firmly grounded when well attended to for a long time, without break and in all earnestness. We don’t actually improve at yoga or at writing, but we do improve through these things. You can improve through any practice. Whatever you are practicing today – yoga, writing, parenting, partnership, or simple hygiene – stay with it in all earnestness. No matter the task, it is the attendance and earnestness that leads to improvement. 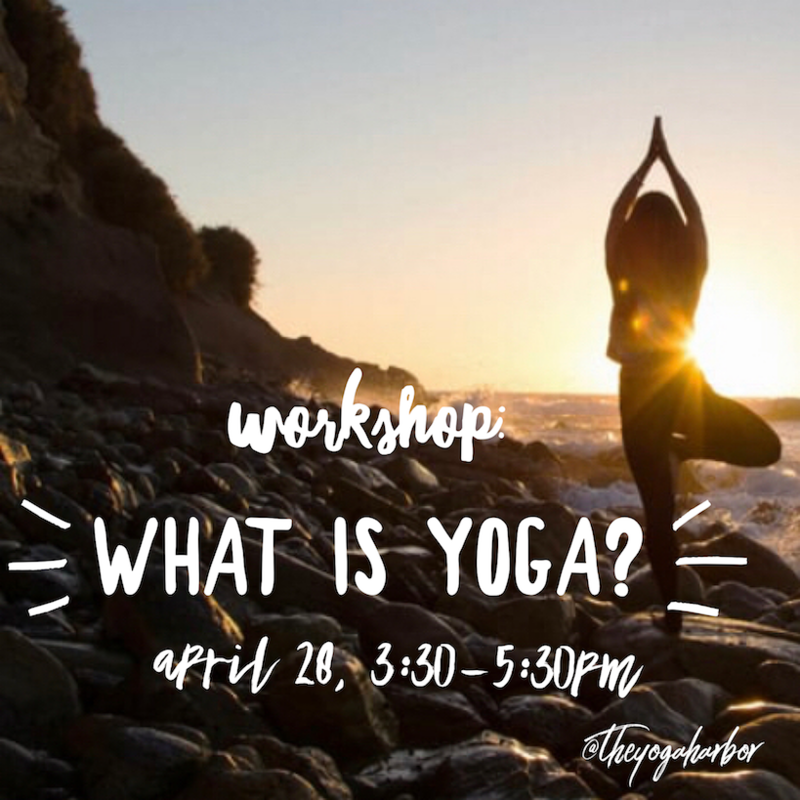 Sharon leads you through gentle yoga and vibrational healing for deep rest. 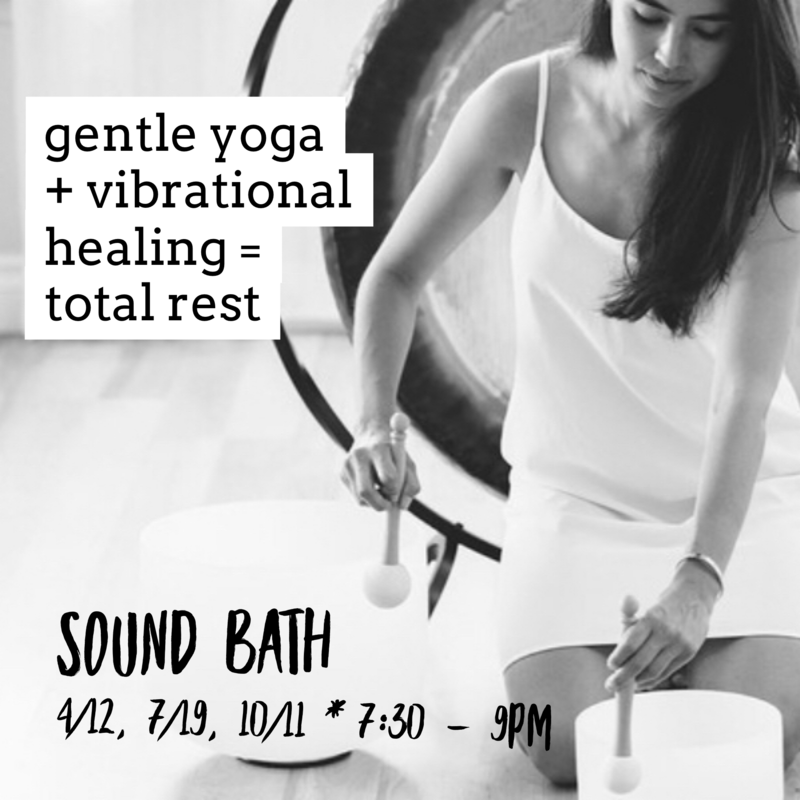 Enjoy the peaceful sound of crystal bowls, gongs and cymbals while you explore your inner space. Join us for a morning to celebrate you! 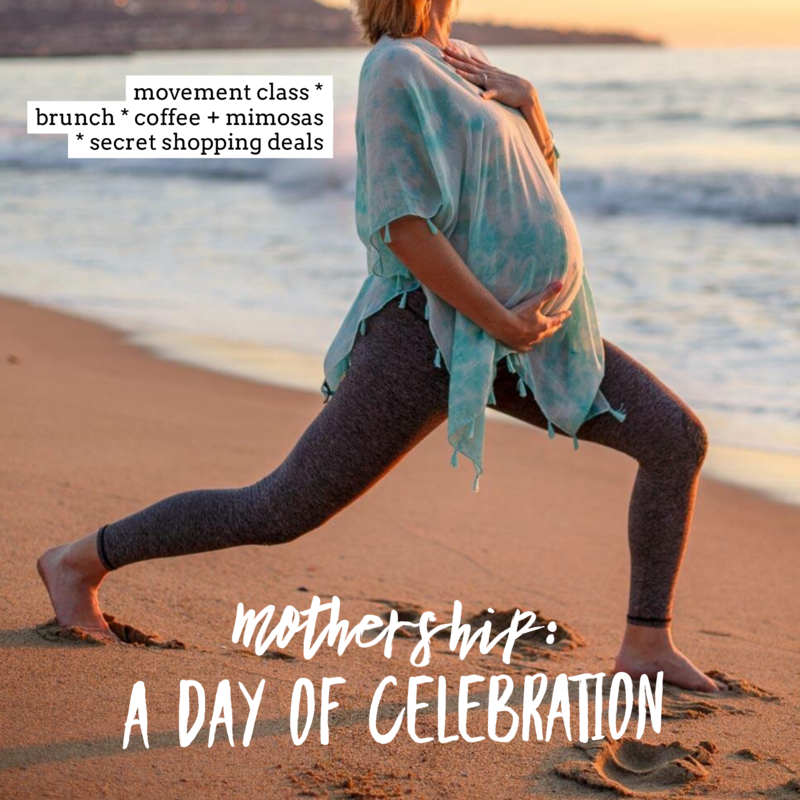 Enjoy a mind-body movement class followed by brunch & sips while we hear real women talk about what motherhood means to them. Featured vendors will provide acupuncture, Reiki, art, and clothing deals. Check the details soon! We prioritize function over form. If you're tired of hearing about how a pose should look and are interested in learning how it should work in your body, this series is for you.